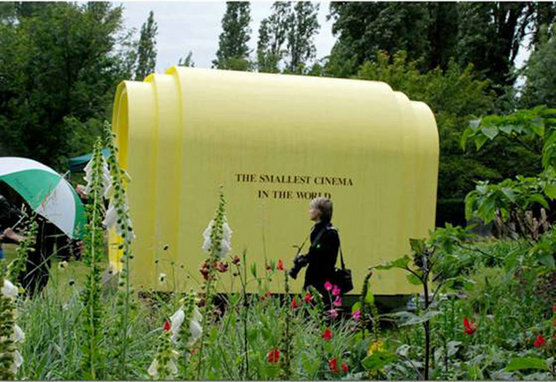 With acclaimed Swedish artist Annika Eriksson, Hopkins and Expedition Engineering have designed "The Smallest Cinema in the World", to take part in the Portavilion project, part of this years London Festival of Architecture. Built by ISG Wood Newton, the cinema seats only six people, and will move around its location, currently Regent's Park, screening films made by the artist about the park and its users. For details of where the Cinema will be next, visit this page. The project has been called "one of the most ambitious contemporary art projects to happen in London's public realm".